You'll be £4.99 closer to your next £10.00 credit when you purchase My Life with Che. What's this? Che Guevara's first wife, Hilda Gadea, was with him during a tumultuous period in his life, the period which turned him from an intellectual theorist to a dedicated revolutionist. After 5 years of marriage and the birth of their daughter, Hildita, Hilda Gadea paints an intimate and extraordinary portrait of this legendary figure; one who is a romantic wanderer, a philosopher and doting suitor and father. Ernesto Guevara and Hilda Gadea met in Guatemala as members of the political-exile community. Later they were forced to flee Mexico, where their friendship grew stronger and where, stimulated by the intelligence and knowledge of Hilda, Che's vista's broadened and his convictions hardened. Hilda's account of their life together in Mexico is filled with joy but at times is terribly strained. They found it difficult to make a living and Che suffered from severe asthmatic attacks. Nevertheless the excitement of involvement with the Castros and other Cuban refugees infuses every page. Gradually the character of this great leader is revealed by the woman who knew him best, providing a vital key to acomprehension of Che's legendary qualities. Gadea's life story is not as well known as her husband's, but in many ways it was even more extraordinary than that of the famous revolutionary. A political refugee from Peru, she was exiled not once, but twice - first to Guatemala and later to Mexico. Frequently harassed and jailed by the police for her political beliefs, Gadea's stoic resolve in the face of great odds was remarkable. My Life with Che is a revealing, compelling insider look at the life of Che Guevara, at the corrupt and compliant right wing authorities who did Washington's bidding in South America, and at a daring group of Latin American revolutionaries who dedicated their lives to the furtherance of a higher cause. Nikolas Kozloff, author of Revolution! This is a vital book for anyone wishing to understand more about the late Argentine revolutionary. Vivid, intimate and uncensored, My Life With Che picks up Guevara's story where The Motorcycle Diaries left off, taking us, via his first marriage to Hilda Gadea, through his extraordinary transformation from bohemian adventurer to Marxist Revolutionary. A refreshing and engrossing read. My Life With Che offers an intimate look at one of the most influential figures of the Cuban Revolution. 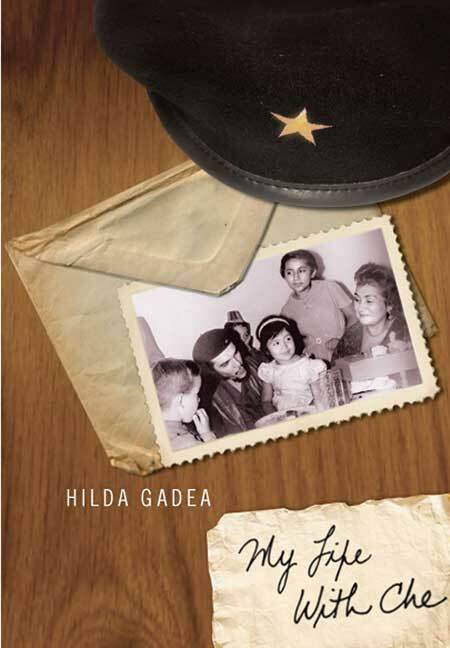 The story of Che's life has become inseparable from the myth, and this book sheds new light on the man from the unique perspective of hist first wife Hilda Gadea.